For example, posing as an owner of a popular car, the 2010 Volkswagen Golf 2.0 TDI, I contacted my local Volkswagen franchise and closest Halfords Autocentre. A minor service cost £139 with the VW dealer, whereas Halfords was charging £107 at the time of writing. A major service was £299 and £225 respectively. That’s just a snapshot of how the cost of maintaining a car over the years can be lowered. Here’s a more detailed overview. In 2014, Which?, the consumer campaigning and review group, went mystery shopping across the UK. It sourced servicing quotes from 12 car makers in 50 of the most populous towns and cities, which is 600 garages. The car being ‘serviced’ was a three-year old Ford Focus 1.6 (petrol) Zetec, and Which? obtained quotes for a minor, 10,000 mile annual service. The lowest price was £60, the average was £165 and the most pricey was £360. In Luton, the difference between the highest and lowest was a whopping £230. And in many other towns and cities, there was a difference of more than £200. A Which? spokesperson told me that this is why it always recommends that drivers put in some legwork and compare car servicing quotes. A few phone calls could potentially save drivers hundreds of pounds. Word of mouth is so 20th Century. In this digital age, you won’t be surprised to learn that price comparison sites will do all the legwork for drivers. 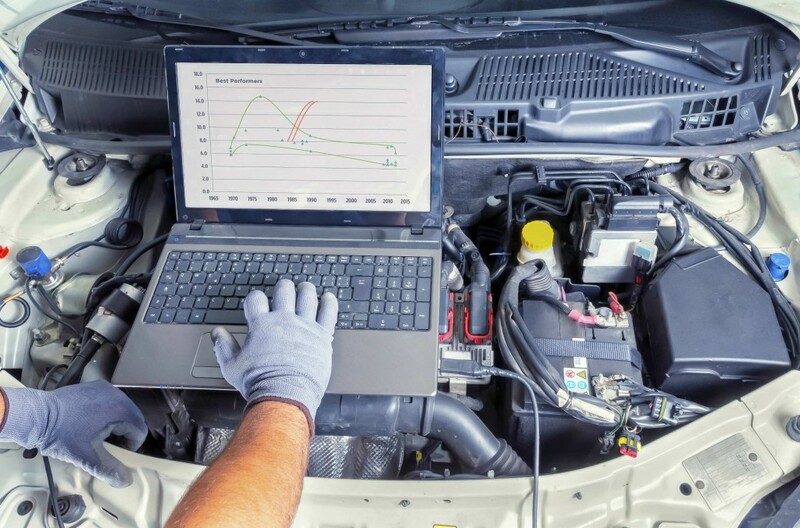 One such site is whocanfixmycar.com, which was founded in 2011 with the aim of essentially introducing garages to drivers who need their car serviced. From having no garages on its books, it now features 7500, and word is spreading about its easy-to-use format. In March 2014, it was providing 1,100 quotes a month. By this November, that had rocketed to 22,000 quotes a month. A customer enters the details of their car and service required, and local garages submit quotes to carry out the appropriate work. “The average winning quote is only six per cent below the average cost of all quotes,” says Alex Rose from whocanfixmycar.com. The site displays reviews for all work carried out, so drivers can make an informed judgment based on both price and the quality of the workmanship. “Any garage that goes above and beyond will get a better review score,” adds Rose. Drivers pay the garage directly, and the garage typically pays a modest introductory fee to the website. Once you’ve done your legwork and obtained quotes from garages or online price comparison sites, consider the garage that’s likely to do the best job for you. If it is more expensive, just pick up the phone and ask whether they can price-match the most competitive like-for-like quote: in most cases, where you can share evidence of that quote, they will lower their price. Checking what work is included, and whether any warranty is provided, is essential. For example, the earlier snapshot comparison of the Volkswagen franchise and Halfords Autocentre was comparable in terms of the work being done. But the VW dealer included a two-year guarantee on all work and parts, whereas the Halfords Autocentre offered just one year. Equally, a courtesy car or wash and vacuum of your motor may be part of the service at some garages, but not others. So remember to ask before committing. James Mills Leave a comment Car ownership, Maintaining your car	Car costs, car maintenance, car servicing, Garages, Which?